This is the start of the third trimester. Some women find they want or need to start taking things easier around now, if they can. From 28-36 weeks of pregnancy, your antenatal appointments are likely to be every two weeks. You might start thinking about when to stop working. Many women find about 34-36 weeks is ideal, although some will need to stop earlier or work longer. Depending on your job and work duties, you might need a midwife or doctor’s certificate to keep working past a certain point in your pregnancy. leaking breasts, as your breasts start producing colostrum. If you have sudden, fast swelling in your hands, feet or face, see your midwife or doctor as soon as possible. Pregnancy check-ups are a chance to talk about any worries or problems at home. What’s happening and how you’re feeling are as important as physical symptoms or health problems. If you feel very stressed or sad, it can affect your health and your baby’s health. If you need it, your midwife or doctor can refer you to another health professional – for example, a counsellor – or put you in touch with support services. Hormone changes can affect your mood or energy levels, or there might be occasional days when you or your partner feels flat or irritable. This is normal. But emotional changes that last longer than two weeks and get in the way of your or your partner’s daily life could be depression or another problem. Make an appointment with your midwife or doctor to discuss changes like this. You could also call Lifeline on 131 114, Beyond Blue on 1300 224 636 or PANDA on 1300 726 306. Your baby measures about 25 cm from head to bottom, and weighs about 1 kg. Your baby has a lot less room to move around now. 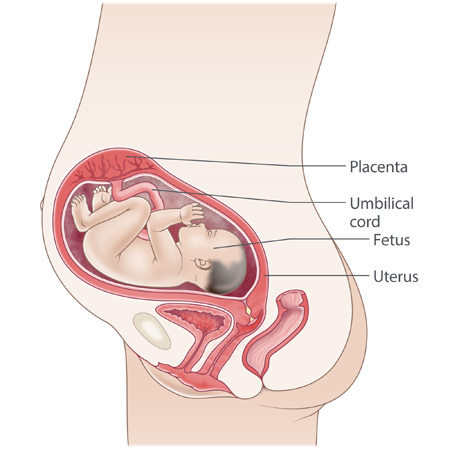 Many babies prefer the breech position at this time – head up, bottom down. Don’t worry about this just now – most babies move to the head-down position in time for their birth. Your baby’s immune system is developing. Your baby is covered in vernix – a white, creamy substance that protects baby’s skin from the amniotic fluid. Your baby’s eyelashes are growing. If you have a boy, his testicles are lowering into his scrotum.